I recently re-read a book of three short stories that I wrote a few years ago, something that I don’t normally do. As I was creating a new ad campaign on Amazon for these old stories, I wanted to re-familiarize myself with them. Trust me, writers don’t always (don’t usually?) have that reaction to material that they’ve written in the past. When I reexamine a subject after a few years, I often find that my perspective has changed; what I wrote then is not what I would write now. This is why I rarely break that rule about not reading my own work once it’s in print. What also struck me about these stories is that I was just beginning to touch on themes and observations that have become very important to me since I first wrote them, themes and observations that were an important part of Fathers, Sons, & Holy Ghosts. 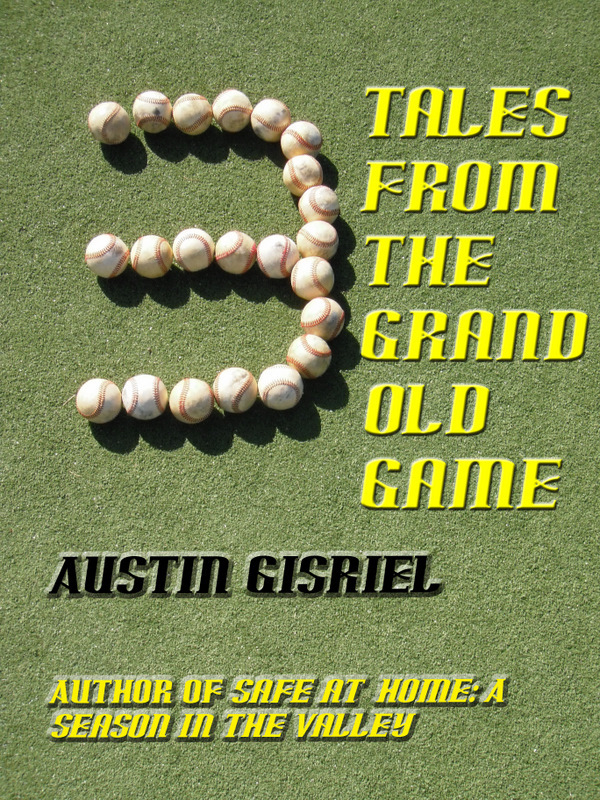 In any case, 3 Tales From the Grand Old Game includes “I Love it Here in Indiana!” which demonstrates the lengths to which three friends will go in order to fulfill the final request of their baseball Yoda, Max McGowan. They have promised to scatter his ashes on the diamond where Max managed decades ago, but tracking down the correct field—and keeping track of the urn that contains Max—is not as easy as it seems. Max, by the way, is based on real life Mo Weber whom many of you know. I did an interview with Mo about his days managing semi-pro baseball out in the Dakotas in the 1950s as part of a companion piece to the story and you can watch that video here. “Spot On,” the second story in the trio, examines the desperation and self-doubt that arises in Trent Tyler when he suddenly and for no apparent reason, develops an inability to throw a baseball accurately. Trent struggles to overcome this throwing “slump,” but he knows that his problem is much deeper than a mere slump. Willing to fake an injury to explain his rash of errors, the third baseman discovers that he needs help, and not from a coach, either. “A Baseball Fan’s Fairy Tale,” the final story in the collection, is just that. We’ve all dreamed of owning a big league team; long-suffering Oriole fan Larry Koobish, along with a million friends finds a way to make it happen. Only in this fairy tale, Larry discovers that he is not Cinderella, but instead is a Fairy Godfather. There is one more very important, very moving baseball story to tell you about that occurred just today. You might recall the message that I received from a young lady in California whose Twitter handle is “Krity.” She had placed her dad in hospice and though he was unresponsive, she read him baseball books, reasoning that if anything could get through to her baseball-loving dad, it was that. She had found my book, Fathers, Sons, & Holy Ghosts: Baseball as a Spiritual Experience, and wanted me to know how important it was to them. It’s a weird and wonderful feeling to think that I functioned like the voice in Field of Dreams and helped connect a father to his child one last time. It’s also probably the best baseball story that I’ve ever heard. This entry was posted in Baseball Books and tagged baseball short stories, Fathers Sons & Holy Ghosts, Field of Dreams, Mo Weber. Bookmark the permalink.